So, Douglas always supposes that there are some ghostly features behind the outer film of reality. The romantic perception of reality is also manifested in negative attitude towards the Machine as such, which is characteristic of the entire work of Bradbury. The author, as romantics in their time, saw Evil in the Machine, no matter what humane goal it pursued initially. The fairy-tale element presents in the novel in the presentation of parables, in the most poetic presentation of the material, is always clearly defined by Bradbury, tied to the place, people and time, and fictional situations are closely related to what is happening in real life. Using folklore images and legends with real characters with romantic features, the writer creates a very special kind of a real fairy tale, a fairy tale inspired by childhood. This novel is the most optimistic of all his works. The fairy-tale beginning, describing the awakening by the young Douglas of the summer world from the height of the tower, immediately introduces a reader to the atmosphere of the wonderful, light. Dandelion wine is an important fantastic and symbolic element. Bradbury came up with a way to prepare a magical wine, raw materials for which are the most ordinary flowers that cover our fields with yellow carpet in June. This homemade tincture is prepared by the grandfather of twelve-year-old Douglas year after year. The image of dandelion wine is quite complicated. This is an image-symbol. On the one hand, this is real wine; the objective basis of this image-symbol is entirely material. But in the further development, this image is complicated by the fact that it gradually begins to abstract, to withdraw, to expand further and further, departing from its material basis, but not breaking with it, but deepening its semantic perspective ... The meanings in their ascending order are: firstly, it is a symbol of summer, secondly, it is summer as time of vacations and children's joys, thirdly, something that must always be bright, uncomplicated, and fourthly, it is a symbol of preserving the memory of the past, fifthly, the symbol of life itself, etc. You can add that it is also a medicine, and some family ritual uniting members of the genus. Unity and harmony of several opposites at once: natural and human, everyday and sacred, mine and yours, joyful and sad, local and boundless, instant and eternal, also refers to the symbolism of wine. Thus, the novel is a memory of the past. 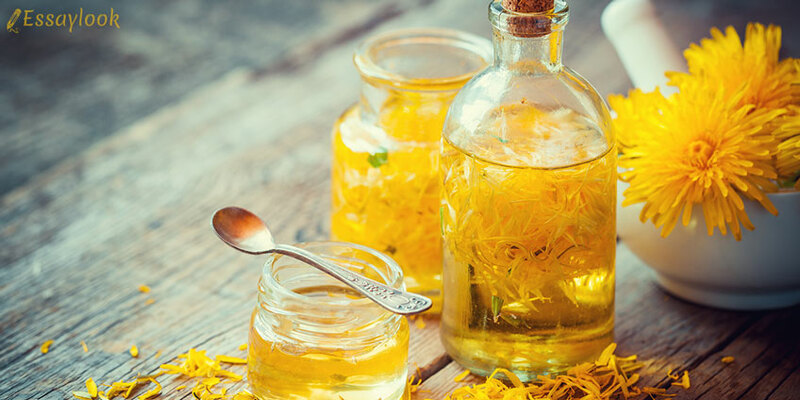 Dandelion wine itself is not just one of the most memorable things of childhood, but also one that symbolizes and sums up the whole image of childhood as the writer sees it. 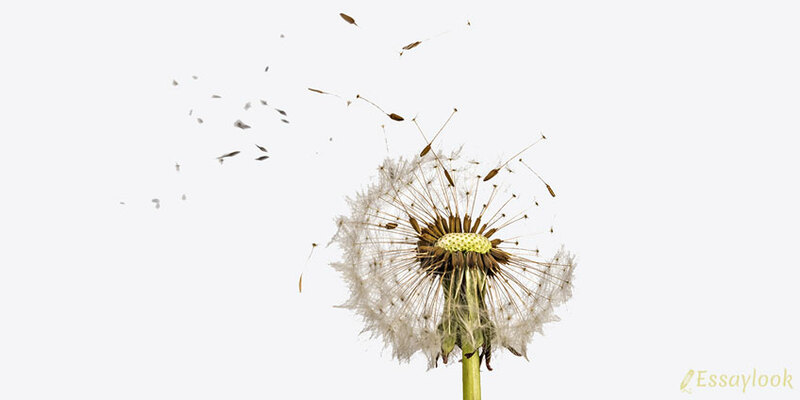 At the same time, the writer tries to explore for himself and to show a reader how childhood impressions, connected, first of all, with dandelion wine, this small episode from his life, awakened in him the ability to see life not only as it is for all people, but a little different, a little bit fantastic. After all, dandelion wine is not only a thing, but also ideas that come to Douglas's head at the sight of wine. Sincere, bright relations between close people, respect for family spiritual values are important motifs of the story. Children freely cross the line between fantasy and reality. And this, as Bradbury shows, is fine. Because such people are open to good. It is much more terrible if there are no more questions, if the mysterious and fantastic get usual real forms, if the world fades, if it becomes flat-understandable, which causes the illusion of omniscience. In relations between people, as the author shows, there is a regularity – evil most often breeds evil and goes around in circles, sometimes growing like a snowball, but good generates good and also goes around in a circle, avalanche-like. One should not expect a reward for the received good, but it is necessary to transfer it on time, so that a humane principle will never die in souls of people. The world without good is as scary as a scorched desert. Douglas, along with other problems, comprehends a complex sense of time in the example of confrontation between adults and children. It is not an easy task for children to overcome the temporary abyss. Children cannot understand old age and death, life for them is boundless "today" above all. Because they cannot believe that Miss Bentley was once a girl with golden curls and that they would someday become as old and shriveled as she is. Joy and suffering lead to Douglas’ comprehension of life. Similarly, the death of Colonel Freeleigh pushes him to the idea of the scale of each person as a whole universe. Time and its problems, its contradictions and its riddles are also at the center of the narrative, forming an important link in the problematics. Thus, as Bradbury shows, in some sense, this summer turns out to be a landmark for the hero as he encounters concepts that were absent in his life until then: parting, death, comprehends the essence of the LIFE, the sense of nature and its involvement; finally, he begins to comprehend himself, his sensations, his "I". There is a motive of romantic struggle with evil. This struggle is necessary for him and the children. Death is Douglas' greatest shock. Death shook Ray himself in 1926 (that is when he was six years). His grandfather died, and then one-year-old sister Elizabeth. Subsequently, Bradbury admitted that death was his constant battle. We have already talked about three plans. Each of these plans is depicted by various artistic means. The children's plan (adventure) is depicted by means of: dialogues between children (in them, the author seeks to convey a jerky children's speech, there are many exclamatory and interrogative sentences, short sentences are constructed, there are interjections, slang phrases, incorrect turns, interruptions-dots are often used). The outer plan is expressed through parables, individual stories. The language of these plug-in novels corresponds to the content of each one. And, finally, the third plan is meditation, reasoning, accordingly, its language is one of philosophical or natural descriptions, here long sentences, juicy epithets, various metaphors and other means prevail. It is the first and the third plan that characterize and reveal the hero to us. Douglas dreams perform an important function, fixing the metaphorical nature of his thinking and what he saw in fantastic imagery. Dreams during illness distinguish absurdity and, at the same time, bright colors, symbolism, as if metaphorical and metaphysical (through the prism of death) comprehension of the seen. These dreams are a kind of symbols. Internal monologues of Douglas, depending on their cause, differ either pathetically – in this case, they are conveyed by lofty vocabulary using various speech figures, turns, complex sentences, rich descriptions; either expressiveness, discontinuity, transmitted by short shock sentences in a state of great agitation. Douglas (with the author) conveys admiration for the world by a rich, flowery speech, sometimes full of euphemisms. In addition to internal monologues, we see Douglas through the eyes of other characters. External descriptions give us an idea of the restless live boy, who finds himself in a wide variety of places, the boy is quite bold (he is not afraid to walk in the ravine), but sensitive (Douglas is often shown to be experiencing, stunned). So, as we could see, the image of the protagonist in the novel includes all features of the creative image of Bradbury. He is integral by nature, despite the small age; he is distinguished by kindness, diligence, spirituality, the urge to cognition and comprehension, unity with nature and distrust of mechanisms, a thirst for struggle with Evil, a sense of the fullness of his being, poetics of vision and magic of consciousness, which, in fact, lead to creativity. He only begins a conscious life, comprehending all contradictions of being and seeking an alternative salvation from them. And it is characteristic that the writer does not confront his characters with life, with reality in full measure. 12-year-old Douglas perceives the world only in separate features. Every new recognition brings sadness, although the hero is still far from being disappointed in life, which the writer anticipates. This creates a certain contradictory unity of optimism and sadness. The image of Douglas incarnated all main links in the problematics of the novel: the idea of good passing in the circle, inseparability from nature, family idyll and rituals, ability to perceive the world creatively, fabulously, the value of life, the intrinsic value of all its moments and details. Magic, filled with kindness and light, eccentrics and strange machines, enveloped in magic of dreams, legends and forests, the world of childhood in the "green town" is already bursting with separate abscesses into the troubled, disturbing world surrounding Green Town, with all its problems and contradictions, with its diseases, death, murders, superstitions, with all its soulless technique. In the novel, these manifestations occur in the form of single episodic disharmonies, but they seriously disturb Douglas. We know what this boy will be like when he grows up. He will be the same as the writer Ray Bradbury. The love of life, the ability to truly see it, the ability to appreciate good and create it by yourself, versatility of sensation of the external world, inner peace and desire awakened and enriched by this feeling, pondering over all this, a little fantasy – this is the universal and artistic minimum, from which Bradbury grew up and which is reflected in his novel "Dandelion Wine". 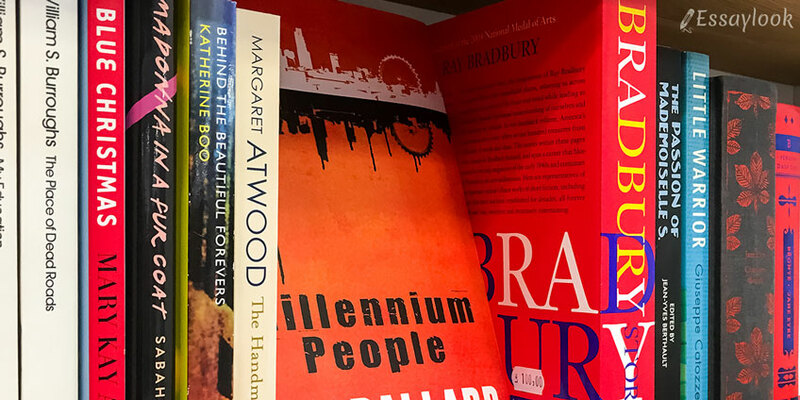 Nostalgia for Green Town, which penetrates the novel, will remain with Bradbury for the whole life. Love for nature, inhabitants of the town, for children, for the summer and for life is presented as well as possible. Life is perceived by him (and by his hero Douglas) as a fantastic gift that should be cherished.